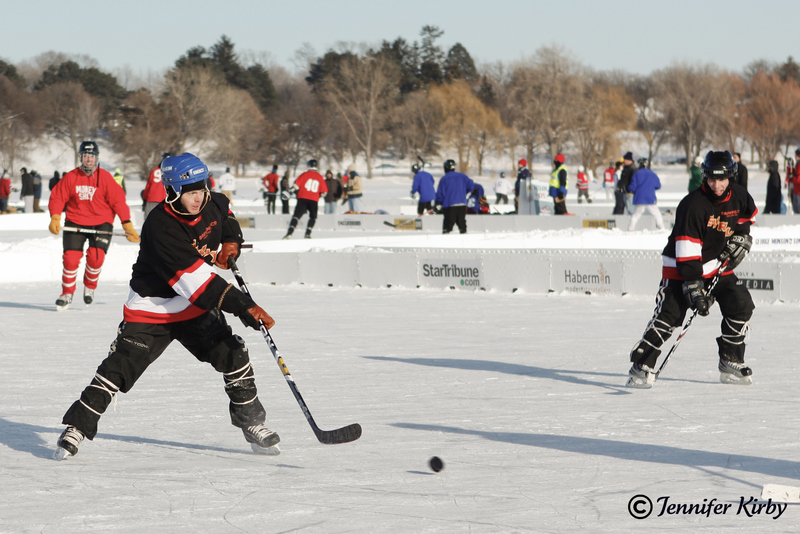 A month ago I took the family out for a cold day of Minnesota ice hockey- the US Pond Hockey Championships 2011. 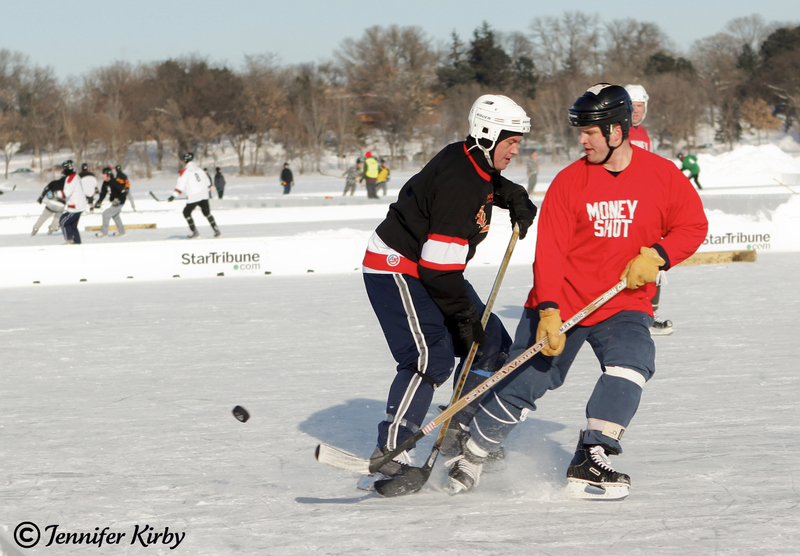 They are held annually on Lake Nokomis. It was about 10 degrees that day, but us Minnesotans know that is the best conditions to play pond hockey, especially if the sun it out. I know what you are thinking…we must be crazy! You have to be careful when watching the games, as a puck can come flying at you any moment. A task even more difficult when looking through a camera lens!